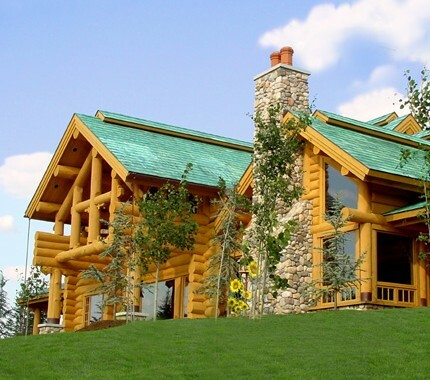 “When my husband and I began a “Log Home Company” search we were looking at milled log homes. We traveled to Montana, Wyoming and Tennessee visiting milled log home sites. Then we came across an ad by North American Log Crafters. I was intrigued by the looks of the Scandinavian Full-Scribe log construction. North American Log Crafter homes looked so different from all the other log homes that we had seen. I decided to call the owner, Brian Campbell. I was taken aback at how willing he was to discuss and answer all of my questions, some of which were ridiculous. After speaking with Brian at length, I decided to learn all I could about this type of log building. I researched every piece of material I could get my hands on regarding Scandinavian Full-Scribe construction. Then, I started researching companies throughout North America that specialized in this method of log building. Finally, I narrowed this group of log builders down to what I felt were the 11 best within North America. For the next year I traveled throughout the United States and Canada every weekend looking at homes that were built by these companies. Next, my husband and I traveled for a month visiting all 11 companies. This “Log Home Quest” took us from New York to Wisconsin, Montana and Wyoming to Washington and, from British Columbia to Alberta, Canada. I explained to each log builder prior to our arrival that we wanted them to show us homes no younger than 5 years old. We learned very quickly that while most log homes look good on the log builders’ yard, it’s what they look like after they have some age on them! North American Log Crafters had the oldest home and was located in Jackson, Wyoming. This home had the tightest notches….it looked like it could have been built a week ago. It was the most impressive, quality built home we’d seen on our “Log Home Quest”. I had visited a few homes built by North American Log Crafters prior to our “Log Home Quest” trip and it was obvious to me that this company excelled in Scandinavian Full-Scribe construction. My husband and I came away from our “Log Home Quest” trip convinced that there were only 2 companies we’d let build our log home and we selected North American Log Crafters. We’ve never regretted that decision. If we had it all to do over tomorrow, there’s no question North American Log Crafters would build our home. Brian Campbell and his crew are passionate about log building. Their attention to detail and craftsmanship are unsurpassed. And, more importantly, their willingness to be hands-on with the customer is very comforting. 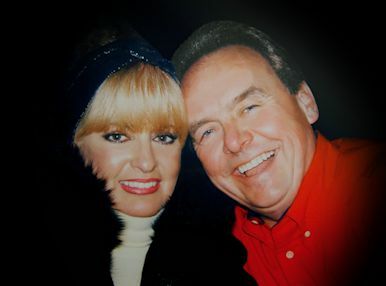 Brian Campbell told me from the beginning that building our log home would be the most fun thing we’d ever do. He was right. The experience has been very exciting. Our home is finished and it’s an incredible work of art. Our home will be here for our grandchildren’s grandchildren to enjoy…it is our legacy.